How far one can go with $89 and a nice looking smartphone is up to you. The Durovis Dive is one of a kind of smartphone holder that is mounted on to your head and will make you dive in the virtual reality world provided that your smartphone is compatible with it. There is also a much cheaper alternate available in the form of Google Cardboard VR headset. 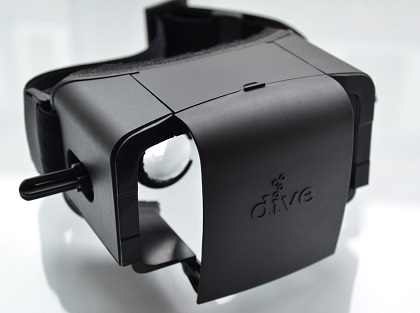 Not anywhere close to the previously unveiled Oculus Rift, the Durovis Dive will let you slide in your smartphone with display not bigger than 5 inches and start the application created for the specific purpose. The Dive is compatible with limited number of smartphones running Android and iOS. The Durovis Dive has adjustable lenses for both eyes and thats pretty much all as far as the $89 virtual reality head mounted device goes.